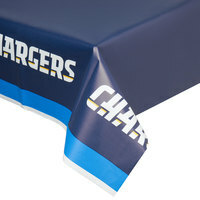 Whether you’re hosting a game day watching party or a birthday celebration for a Los Angeles football fan, Chargers party supplies are perfect for you. 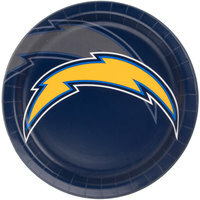 We offer decorative supplies like table covers as well as Chargers paper plates, cups, and napkins to help you serve your favorite snacks. 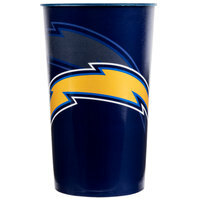 Additionally, each product proudly displays the iconic bolt logo in shades of blue and gold. 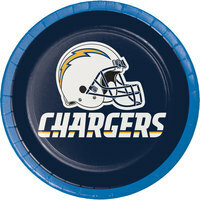 Perfect for tailgates, game day get-togethers, and even birthday celebrations, Chargers party supplies let you show support for your favorite NFL team. 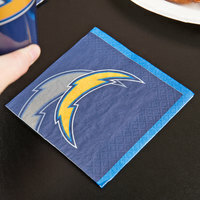 These products all incorporate the signature color scheme of navy blue, powder blue, gold, and white, and they prominently show the Chargers logo. 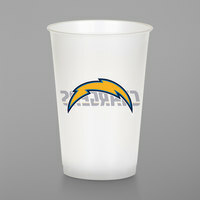 Best of all, they are available for purchase in bulk, so you can stock up for your biggest watching parties. For more products to help you host a party, check out our streamers, glass beverage dispensers, and beer glasses. 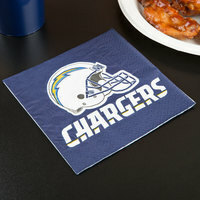 If you're wondering where to buy Chargers party supplies, we have a large selection of Chargers party supplies for sale at the lowest prices.